Five thousand carved, illuminated jack-o’-lanterns were on display at Boston Seaport Hotel and World Trade Center, from Oct. 27-30. 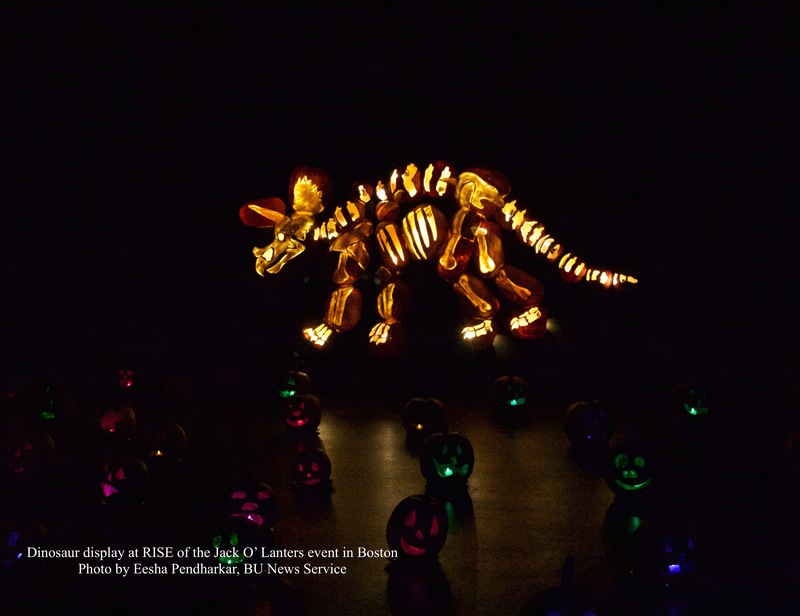 RISE of the Jack-O’-Lanterns made its Boston debut this year with intricately carved jack-o’-lanterns arranged creatively. There were displays featuring multiple lanterns in shapes of characters from Disney’s Frozen and Star Wars. The themed displays were each set to music which enhanced the effect. There were live carving stations set up for guests to watch artists carving jack- o’- lanterns and ask questions about the process. “The children love touching the pumpkins,” said Sharon Fillyaw from behind the do-it-yourself carving booth, as she educated guests on how to make jack-0′- lanterns last longer. From superheroes to dinosaurs, there were displays to interest a wide variety of guests. Children exclaimed at the ferociousness of the multi-pumpkin tiger structure, and millennials excitedly pointed out Pokémon carved lanterns to their friends. 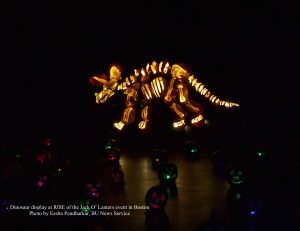 In addition the multi-pumpkin structures, the displays were decorated with jack-o’-lanterns illuminated with different colors to give the whole viewing area a twinkling, spooky feel. Many different techniques were used to create unique lanterns. Rachel Kolby said her use of acrylic paint and linoleum tools to create a jack-o’-lantern that was inspired by The Walking Dead. 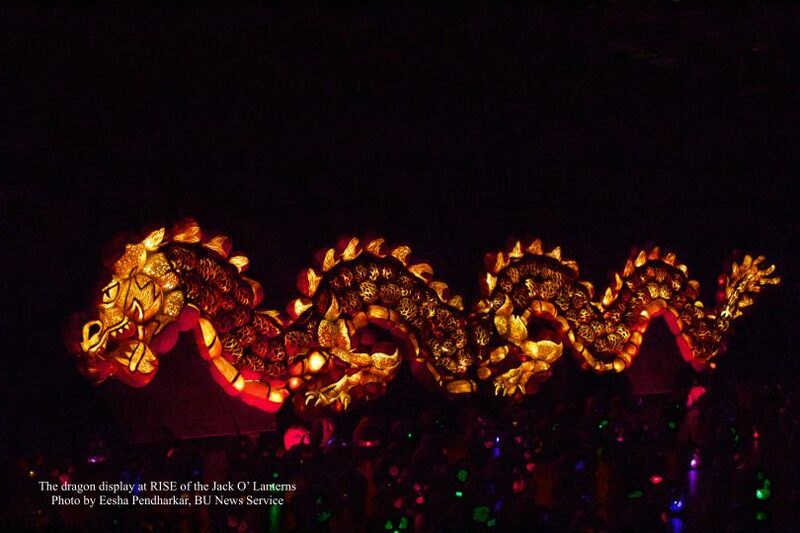 The biggest display of the night was a dragon more than 50 feet long made from hundreds of pumpkins. “You’re not going to get these at Stop n Shop,” quipped artist Neil Collins as he carved the Citgo sign.